Long Island City isn't thaaaaat far away. 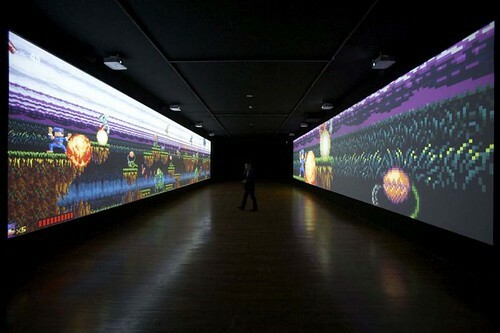 And Feng MengBao's massively scaled interactive video game (BOTH SCREENS) is worth a trip. You, the Red Army soldier, fight Mario Brothers and Street Fighter characters, throwing Coca Cola cans as weapons. It's genius. Then stop by M.Well's for a quick bite (or stay longer since the wait last Saturday at 1230PM lasts about an hour). Fish soup was mind blowing. 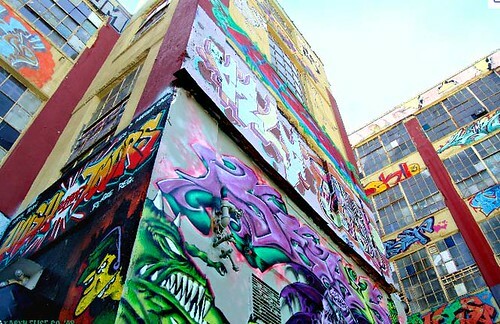 Visit Five Points for some graffiti before you get on the train. All 3 (museum, M.Wells and Five Points) are within the same area.